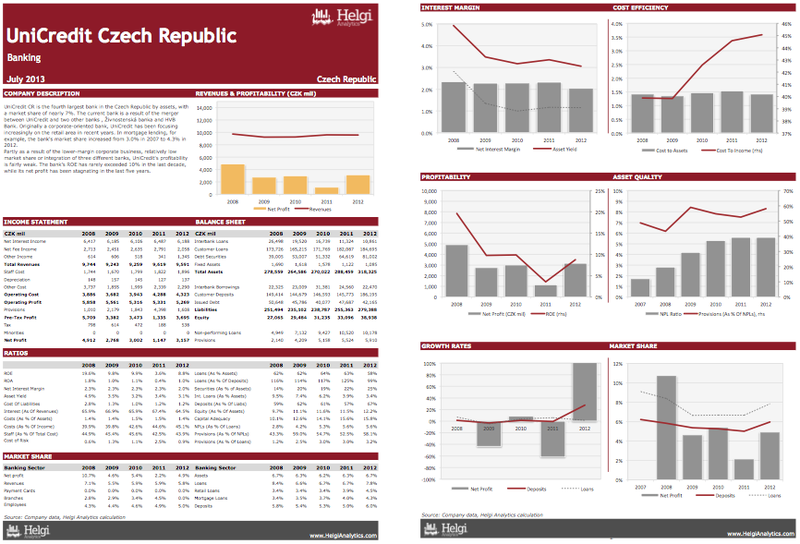 This Quarterly statistical dossier offers a summary of UniCredit Czech Republic's performance between Mar 07 and Sep 18 on an quarterly basis. The report can be downloaded as an excel file. In addition, the excel file provides a detailed overview of the bank's market position in comparison with the overall banking sector. You can, for example, track UCI CR's market position in mortgage or consumer lending. This Annual Statistical Dossier offers a comparison of 11 banks from UniCredit New Europe from 1958 to 2017 on an annual basis. The report can be downloaded as an Excel file. 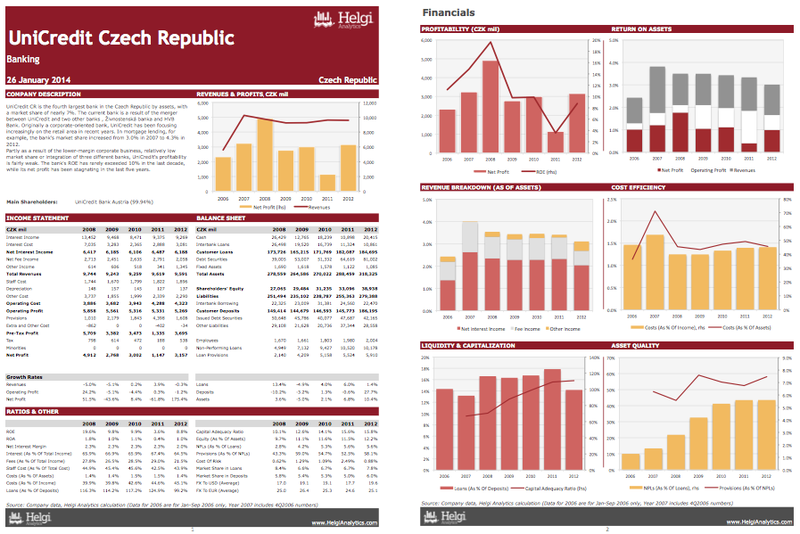 This Annual statistical dossier offers a summary of UniCredit Czech Republic's performance between 2006 and 2017 on an annual basis. The report can be downloaded as an excel file. 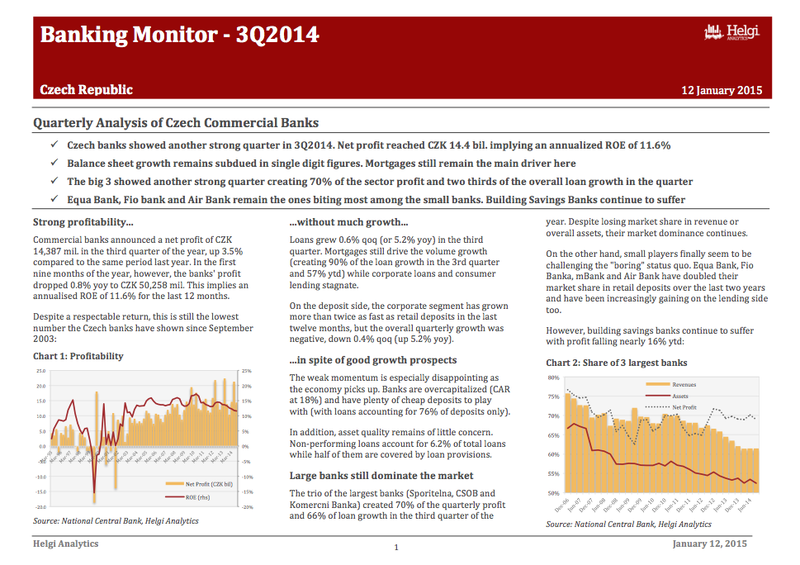 UniCredit a's 3Q14 profit grows 2% yoy..
UniCredit CR and Slovakia reported a net profit of CZK 1,101 mil. in 3Q14. This is 2% up when compared to last year, though the comparison should be taken with a grain of salt since the 3Q13 operations do not include the bank's Slovak business (incorporated in 4Q14). Since operating profit was down 5% yoy, lower provisions are the only reason the bank saw its profit rise in the quarter. The overall profitability of the bank remains weak. Since 2008, ROE stays in high single digit figures, which is not good enough for such a well-profitable market as the Czech Republic's. Apart from being busy with a number of mergers in the past, a lower interest margin (on both the asset as well as the liability side) and a higher cost of risk seem to be the two key differences when compared to the performance of TOP3 banks. Although we can only guess what drives the bank's volume growth now (since the bank does not publish details of its loans or deposits and is merged with the Slovak business), balance sheet growth seems to be mixed so far this year. The bank grew its loan book by 6.8% ytd (compared to 2.5% ytd of the market) while deposits dropped 1.3% in the first half of the year (when the market grew 2.0%). 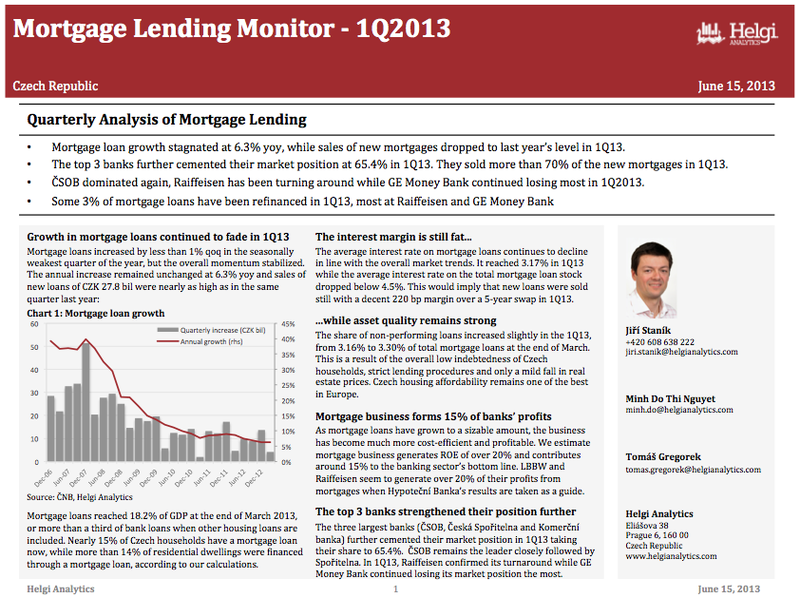 The bank seems to be gaining on the mortgage lending market (adding 16 bp to its market share so far this year). At the end of September, we judge that the bank was holding 4.83% of the Czech Republic's residential mortgage loans by volume. In 3Q14 alone, we guesstimate the bank sold 7.5% of all new mortgage loans. Since the average size of new mortgage loans provided dropped to CZK 1.4 mil (compared to CZK 1.8 mil at the end of 2012), we suspect the bank started to target lower-income clients. Unlike the TOP3 banks, which operate with an excess of primary deposits (loans to deposits at 69% at the end of September), UniCredit does not have such a comfort. When adjusted for interbank funding, we suspect UniCredit's loan to deposit ratio exceeded 100% in 3Q14. Although asset quality seems to be fine at UniCredit (NPLs at 5.55% of total loans, 51% provision coverage), it's the trend which worries us. The volume of NPLs increased by nearly CZK 2.7 bil. or 19% ytd, the highest within the sector. Provision coverage has been declining in spite of a relatively high cost of risk, so asset quality remains the issue to watch for at UniCredit. 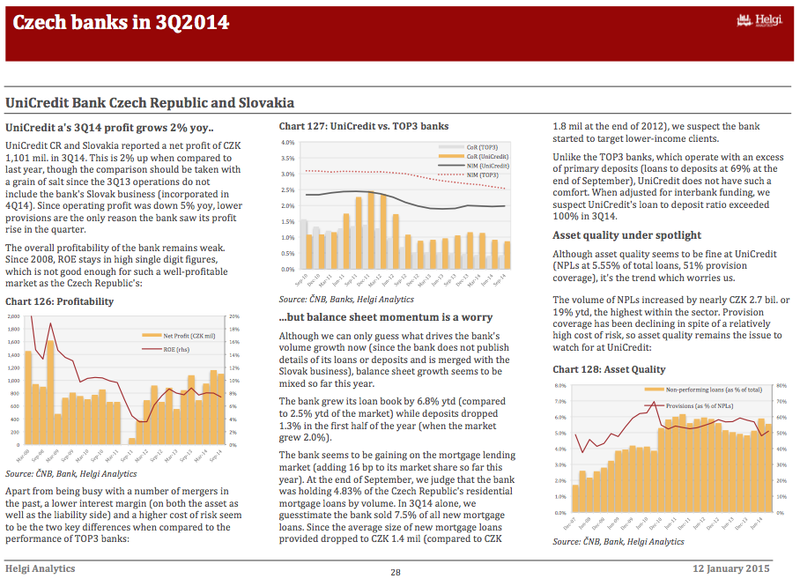 UniCredit CR is the fourth largest bank in the Czech Republic by assets, with a market share of nearly 7%. The current bank is a result of the merger between UniCredit and two other banks , Živnostenská banka and HVB Bank. Originally a corporate-oriented bank, UniCredit has been focusing increasingly on the retail area in recent years. In mortgage lending, for example, the bank's market share increased from 3.0% in 2007 to 4.3% in 2012. Partly as a result of the lower-margin corporate business, relatively low market share or integration of three different banks, UniCredit's profitability is fairly weak. The bank's ROE has rarely exceeded 10% in the last decade, while its net profit has been stagnating in the last five years.. This report offers a summary of the bank's performance 2006-2012. You will find here all the key numbers from the bank's balance sheet, income statement and main ratios related to the bank's business. 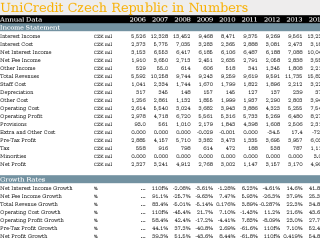 UniCredit CR is the fourth largest bank in the Czech Republic by assets, with a market share of nearly 7%. The current bank is a result of the merger between UniCredit and two other banks , Živnostenská banka and HVB Bank. Originally a corporate-oriented bank, UniCredit has been focusing increasingly on the retail area in recent years. In mortgage lending, for example, the bank's market share increased from 3.0% in 2007 to 4.3% in 2012. Partly as a result of the lower-margin corporate business, relatively low market share or integration of three different banks, UniCredit's profitability is fairly weak. The bank's ROE has rarely exceeded 10% in the last decade, while its net profit has been stagnating in the last five years. This excel file offers a summary of the company's performance in between 1Q2008-1Q2013, both on the quarterly as well as the annual basis. You will find here all the key numbers from the bank's balance sheet, income statement and main ratios related to the bank's business. In addition, the file provides a detailed overview of the bank's market position in the comparison with the overall banking sector. UniCredit’s mortgage loans increased by an impressive 3.0% qoq and 17.3% yoy in 1Q13, nearly three times as fast as the overall market. The bank has been expanding its mortgage loan book by 15% a year over the last three years and has been clearly outperforming the market since the end of 2008. Following the completion of the triple merger in 2007 (UniCredit/HVB/Živnobanka), UniCredit bank has been increasingly focusing on business, at least when judged by numbers. The bank has increased its market share of mortgage loans from around 3% in 2007 to 4.4% at the end of March 2013. 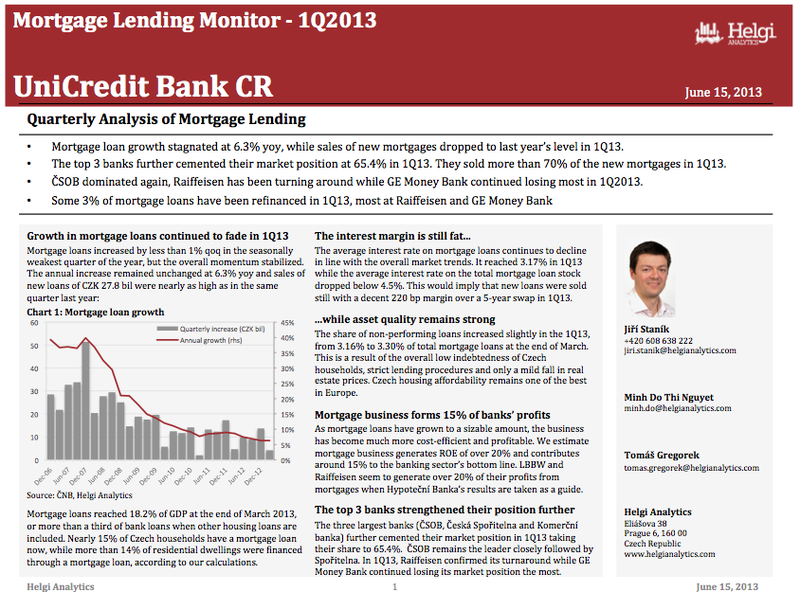 In terms of new production, the bank sold 7.1% of the new mortgages generated on the market in 2012 and 7.5% in 1Q13. The bank’s engine seems to have been gradually speeding up and the bank seems to be benefiting from the strategic re-direction of a few market players. Mortgages – 10-15% of UniCredit’s profit? Residential mortgage loans represented 16.2% of UniCredit’s total loans at the end of March 2013. That is twice as much in relative terms as of the end of 2007; on the other hand, it is only a half of the level seen at the three largest banks in the country. This is also significantly less than at UniCredit’s closest peers, Raiffeisenbank (with 35% in March 2013) and GE Money Bank (over 20%). Apart from the mergers, UniCredit’s overall conservative approach towards mortgage lending in CEE and relatively smaller focus on the retail area could be blamed for that. When Hypoteční banka’s financials are taken as a benchmark (for more details see page 9), we believe mortgage lending business generates around 10-15% of UniCredit’s overall profitability now. 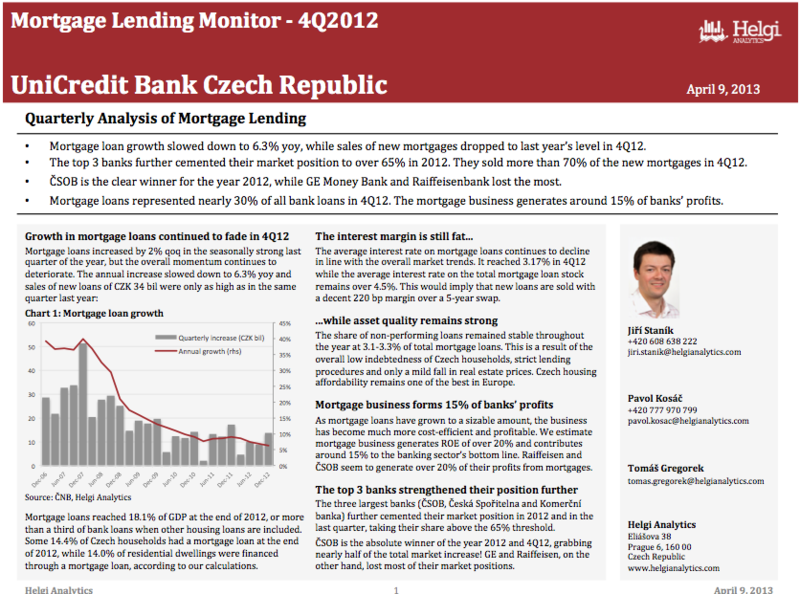 This report analyses the housing lending in the Czech Republic for the 4Q2012. You will find all the necessary details regarding volume growth (for both, the mortgage as well as Building Society lending), market share, margin and asset quality development in the mortgage segment. Also, based on the example of Hypotecni Banka, we calculate profitability of the mortgage business for each bank. Mortgage loan growth slowed down to 6.3% yoy, while sales of new mortgages dropped to last year’s level in 4Q12. The top 3 banks further cemented their market position to over 65% in 2012. 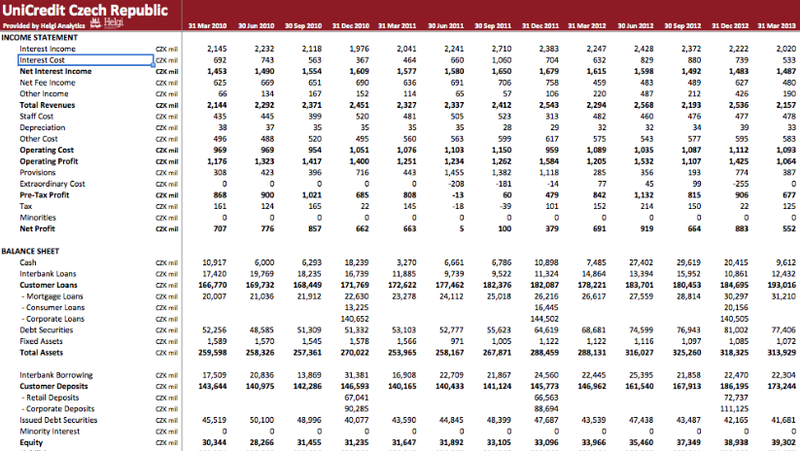 They sold more than 70% of the new mortgages in 4Q12. 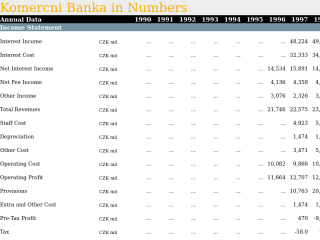 ČSOB is the clear winner for the year 2012, while GE Money Bank and Raiffeisenbank lost the most. Mortgage loans represented nearly 30% of all bank loans in 4Q12. The mortgage business generates around 15% of banks’ profits. Following the completion of the triple merger in 2007 (UniCredit/HVB/Živnobanka), UniCredit bank has been increasingly focusing on business, at least when judged by numbers. The bank has increased its market share of mortgage loans from around 3% in 2007 to 4.2% at the end of 2012. In terms of new production, the bank sold 7.1% of the new mortgages generated on the market in 2012. The bank’s engine seems to have been speeding up as UniCredit’s market share in new production has exceeded 8% in the last two quarters. Apart from its own more aggressive strategy, the bank seems to be benefiting from the strategic re-direction of a few market players. When we look at the new production sold in 2012, UniCredit has been taking over some of the market share from its peers, such as Raiffeisenbank or GE Money Bank. Residential mortgage loans represented 16.4% of UniCredit’s total loans at the end of 2012. That is twice as much in relative terms as of the end of 2007; on the other hand, it is only a half of the level seen at the three largest banks in the country. This is also significantly less than at UniCredit’s closest peers, Raiffeisenbank (with 35% in September 2012) and GE Money Bank (nearly 22%). Apart from the mergers, UniCredit’s overall conservative approach towards mortgage lending in CEE and relatively smaller focus on the retail area could be blamed for that. 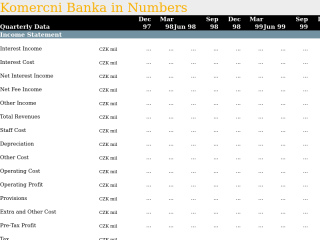 This is less than the 24% of Raiffeisenbank and 20% of ČSOB but roughly in line with the numbers we calculated for Komerční Banka and Česká Spořitelna. What Banks in Czechia Had the Most Bad Loans in 2017? Based on a comparison of 23 banks in the Czech Republic in 2017, Moravsky Penezni Ustav had the highest share of bad loans, followed by PPF Banka and Fio banka. Moravsky Penezni Ustav's non-performing loans reached 26.4% of total loans at the end of 2017, up from 24.4% when compared to the previous year. Historically, the NPL ratio hit an all time high of 39.4% in 2015 and an all time low of 2.23% in 2008. Provision coverage amounted to 13.8% at the end of 2017, up from 7.63% compared to a year earlier. Comparing Moravsky Penezni Ustav with its closest peers, PPF Banka operated at the end of 2017 with NPL ratio of 13.8% and provision coverage of 22.6%, Fio banka with 11.8% and 32.7% and J&T Banka had 10.7% of bad loans covered with 39.3% by provisions at the end of 2017. Non-performing loans of the whole Czechia’s banking sector amounted to 3.74% of total loans in 2017, down from 4.59% when compared to the last year. 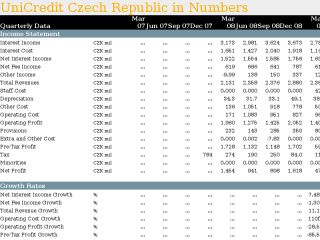 You can see all the banks non-performing loans data on the NPLs (As % Of Loans) indicator page or you can download a report on the Czech banks in the report section.